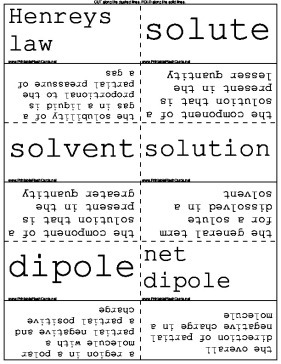 Chemists can learn about solvents and solutions with these science flash cards. solvent cage a cluster of solvent molecules surrounding a solute particle in solution. tyndall effect the scattering of a beam of light by colloid particles. supersaturated solution a solution containing more than the maximum solute that can dissolve at a given temperature. mass/mass percent (m/m%) a solution concentration expression that relates the mass of solute in grams disolved i each 100 g of solution. molarity a solution concentration expression that relates the moles of solute dissolved in each liter of solution.